What It Looks Like to Win a Harley! Want to know what it looks like to win a brand new Harley-Davidson Motorcycle? 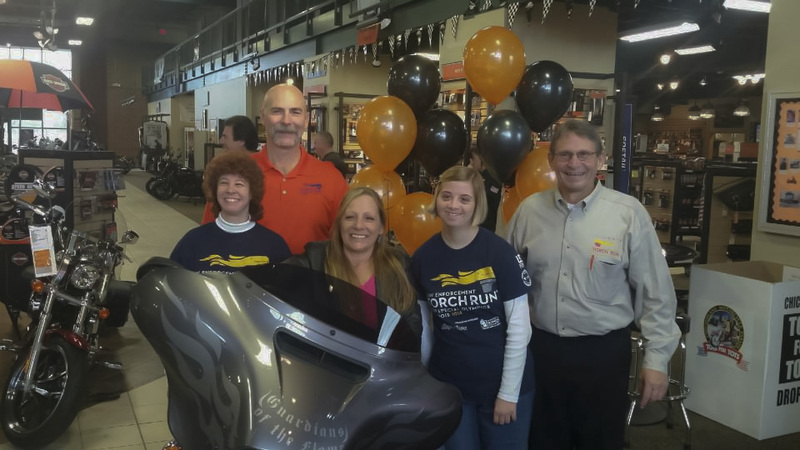 Check out the video below to see the reaction from the winner of this year’s Harley-Davidson raffle. Next year this could be you in the drivers seat if you purchase a raffle ticket from one of the many locations they are sold. This was the best year for the raffle since 2006 raising over $124,000 for the athlete of Special Olympics Illinois. A special shout out goes to Chi-Town Harley Davidson, ABT Electronics and Element Graphics for helping to make this year’s event such an outstanding success! Post by Illinois Law Enforcement Torch Run.